Computer facilities are an essential part of a modern library. 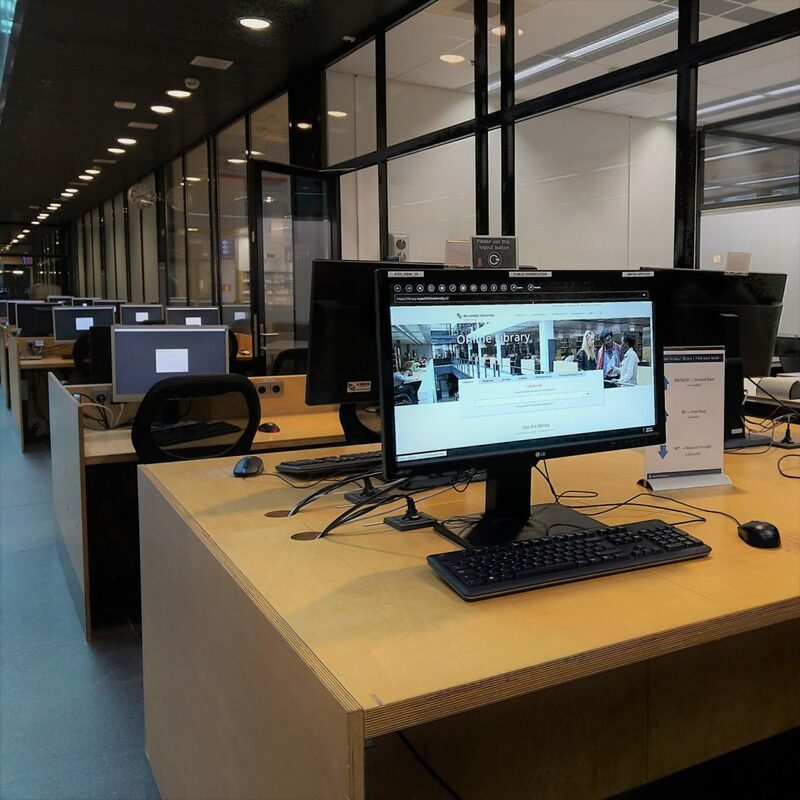 The University Library offers students of Maastricht University (UM) a whole range of such facilities. Find out more about the specific computer facilities and how to use them. Almost half of the 2100 study spaces, spread across the two library locations, are equipped with a computer. UM offers students (250 MB) storage space on a personal I: drive. I: drive, from anywhere in the world. Guests can use the public workstations. Computers for watching CDs & DVDs are freely accessible. You can start up the software directly. Public computer workstations are freely accessible. You’re welcome to use your own laptop in the library and at the Bonnefanten Learning Spaces, Tapijn Learning Spaces and USC Learning Spaces. For this purpose, many study spaces are equipped with electricity and network connection points. In addition to a valid UM account, you need a working wireless network adapter to log in (within the library buildings and the Learning Spaces). You can use the wireless network (WIFI) for your laptop, tablet and/or smartphone. For more information, please check WiFi: Maastricht University Wireless Network. For questions or information, use the web form to contact a library specialist. Before submitting your question, please check whether your e-mail address is correct.